outhouses etc: what an invention!!! Is this to help them improve their aim??? 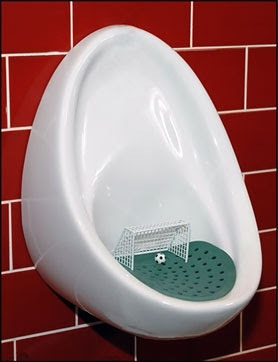 Wee Goals for male soccer/football fans. It's basically a little mat that is placed in the urinal. You can even pay to put an advertisement on the mat. Posted by laura at 6:56 p.m.